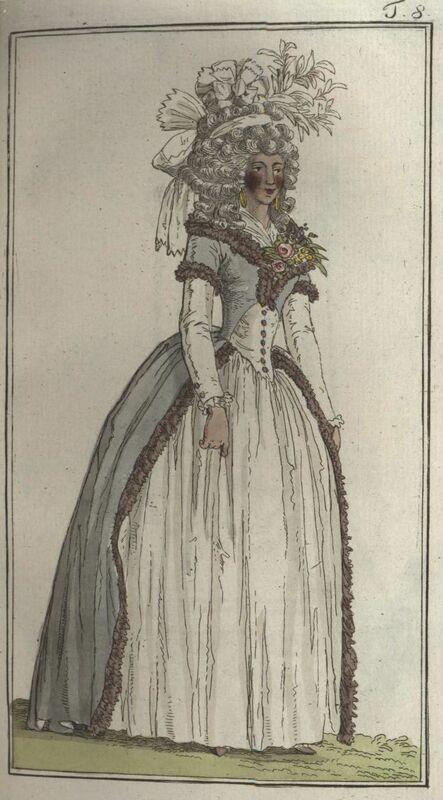 So I’ve been all coyly hinting about the 18th century dress I’m planning on making. Like all right thinking people, I’m obsessed with the musical Hamilton. 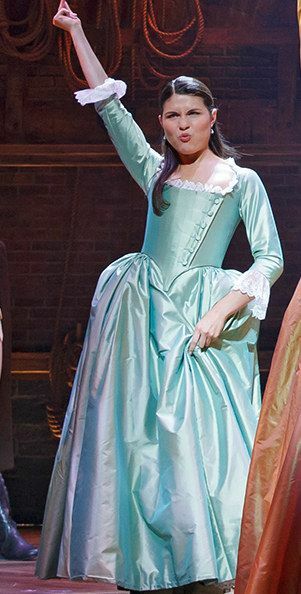 Somehow I got on the idea of making Elizabeth/Eliza Schuyler/Hamilton dress, but actually historically accurate because obviously, that’s my jam. While I originally planned on using this for the Jordan Con costume contest, I dropped that idea because it’s really only cosplay if you squint. But, I still want the dress, because there is a whole bunch of upcoming events where I can make use of it (GBACG Outlander event, Peers Hamilton Ball, and when I see the show in San Francisco in May). Has buttons on the front. At first I figured this would be an easy plan. 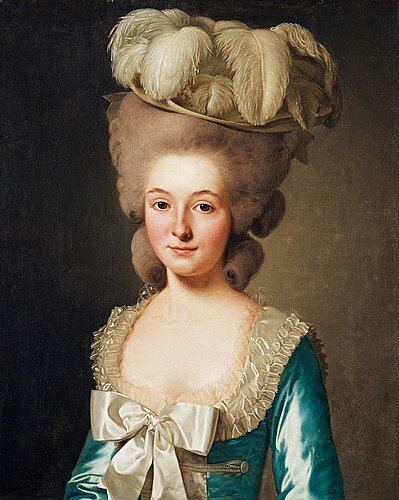 Make a fancy robe a la anglaise with loads of self trim, and a ginormous 1780s hedgehog wig (I was clearly massively inspired by this gorgeous Italian gown by The Modern Mantua Maker). Except, make the front have a row of buttons going down the middle as nod to the stage dress, aka a compere front (examples here, here). And then I went to the internet to do research. And now we fall down a rabbithole, so strap in. Ok, plan B. According to this post by Diary of a Mantua Maker, the zone gown can have buttons on the false stomacher. Note, zone gown is not a period term, but it’s the easiest to use, since costumers all know what we mean by it. It’s a dress where the bodice front looks like it is cutaway to reveal a stomacher (in the same color or a contrasting color) underneath. These gowns are more correctly types of Polonaise, Circassienne, Levite, or Turque (with subtle differences between them, click the links for people who’ve done the real research). Despite the drawing in her post, I have found only two pictures where the front actually uses buttons in the front instead of pins. Both of these are Robe a la Turques I believe (due to the short sleeves over contrasting long sleeves), and neither is the same fabric all over. I don’t know if I can therefore claim historical accuracy if I do a gown in all the same fabric like this. Kyoto Fashion Museum. Apologies again for the not-source-picture, but the museum has changed their website and I can’t find a link. While this dress is pretty and can live on my “one day I’ll make this” list (oh god that list is so long), I still wasn’t in love with it. There is one more style of gown I found in several paintings, which is really intriguing (my pinterest board). 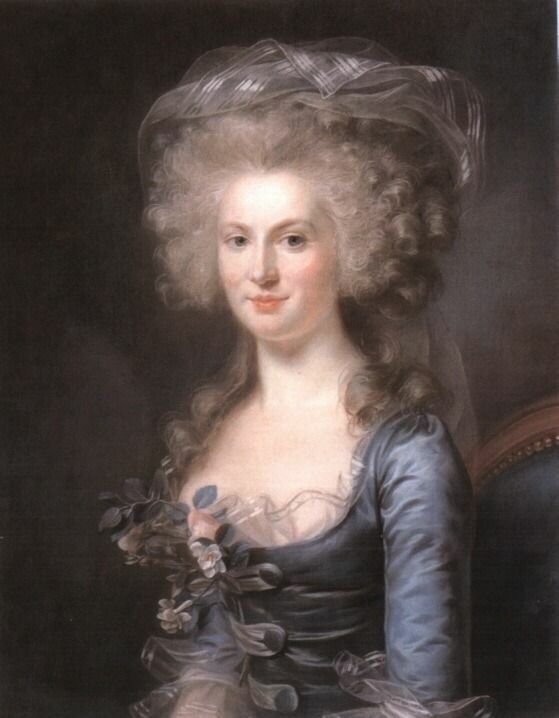 Speculated to be the Princess of Lamballe. Apologies for pinterest link, I’ve been unable to find an original source. 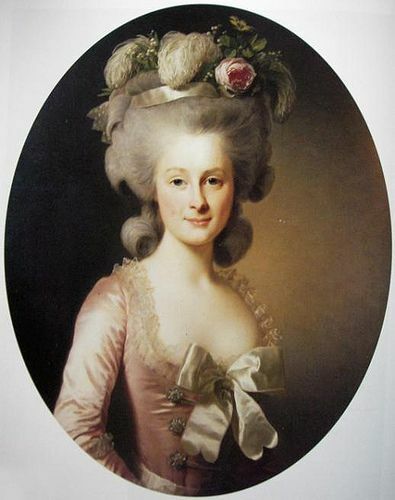 Portrait of Louise Henriette Boeuf de Curis by Adolf Ulrich Wertmüller. Is that self trim on the skirt with gauze on the top? No seriously what is happening in these pictures? Do these have the cutaway front, or are one solid front pinning in the middle? Looks like some of each. Is it one cord looping from top to bottom, or is it one per cord? Is it a coincidence that these all seem to be French women? Maybe I should make this?!? I showed my friend Bunny these photos, and she helpfully pointed out that they probably are Levites (ish). Evidence being the wide collar, the longer sleeves, and the sash. Additionally, while looking for more information on Levites, I found this fashion plate from Mimic of Modes which clearly shows the loopy-cord-around-buttons thing. Aaaand suddenly my interest in this style deflated entirely. While I’d be happy to make a Levite in the future, it seems like they were more of a casual style. 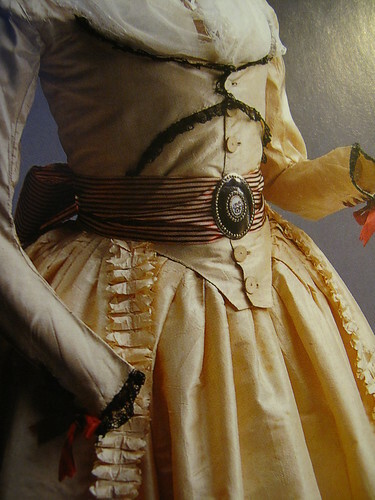 And if I’m going for 1780, A Winter’s Ball then a casual style just won’t do. Next up, what I decided to actually do! This entry was posted in 1700s, Elizabeth Schuyler, Georgian. Bookmark the permalink. In the picture of Eliza from the play, wouldn’t it be painful on your “girls ” – the style of the front ? Entirely possible! Riding habits of the time definitely had buttons, so maybe there was a trend for doing something similar on non-riding-dresses?